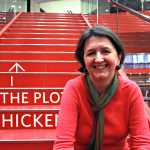 Ellen Donaghey is Chief Financial Officer at the Boston Public Library, responsible for the Library’s financial management. She also oversees the Library’s Special Events and Human Resources Departments. Ellen previously served as the Chief Financial Officer for the Commonwealth of Massachusetts’ Executive Office of Public Safety and Security. She holds a Master’s Degree in Public Administration from Northeastern University.